Something you may not know about Michigan is that the state has an interesting claim to fame in its hot dogs. In fact, there’s one hot dog that dominates Michigan food culture: The classic Coney Island dog. While there are differences in hot dog preparation all over, Michigan offers the community something truly special. So if you’re looking to satiate that frank craving, congratulations: Michigan’s got what you’re after. 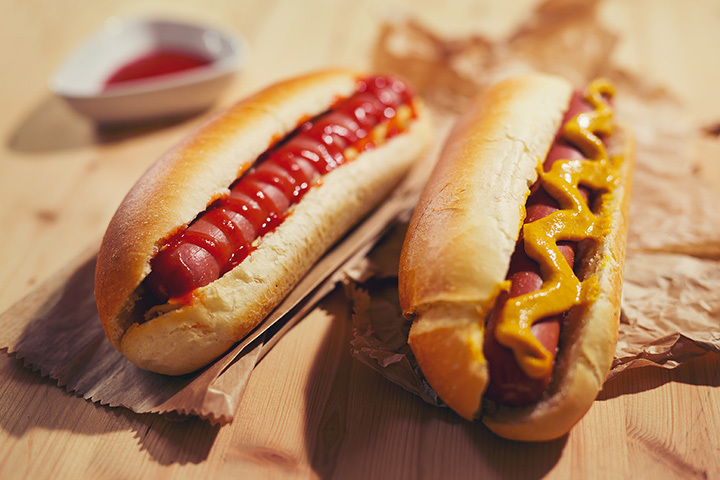 Put on your bib and settle in as we run down 10 of the best hot dog joints in the state! Declared the best Coney dog in Michigan in an MLive study, Detroit's American Coney Island has been owned and operated continually by the same family since 1917. That's no mean feat, especially given what all happened between 1917 and now. American Coney Island favors the natural skin casing dog backed up by a secret recipe chili for a sauce. Throw in a mix of mustard and sweet onions chopped fine and you'll get a look at why this place has been in play for a hundred years. It is effectively impossible to mention American Coney Island without giving a nod of respect to perhaps its closest competitor: Lafayette Coney Island. The immediate runner-up in the MLive study that gave top nod to American Coney Island, Lafayette lost the top slot largely on the strength of its onions. Lafayette, reports at the time noted, favored a Spanish onion rather than a sweeter Vidalia onion, and that was enough to tip the scales in American's favor. For an excellent Coney dog, however, Lafayette will surely deliver. Burton institution Starlite was recently noted as having the best Coney dog in the city, which certainly makes it noteworthy for a start. Looking more closely at this entrant shows off just why this place makes the claims it makes: Using Flint-style chili—which is an extremely dry version that looks more like crumbled ground beef in isolation—that's made every four hours helps give Starlite maximum freshness, and produces an excellent overall specimen. Angelo's is a hot dog joint that prides itself on its history—almost everything short of the birth of a baby has happened therein since its opening in 1949, reports note, and even that “almost happened,” according to the owner—and faces off against Starlite armed with a slightly spicier dry chili than its competitor uses. To get a glimpse of where the hot dog first took root in Kalamazoo way back in 1915, travelers need only hit Coney Island Hot Dogs, regarded as “Kalamazoo's First Hot Dog Stand.” Featuring Sprecher root beer and orange drink, along with four different kinds of French fries, onion rings, and a Coney dog that focuses heavily on the vegetables—check out the tomato wedges and the stack of onions on top—Kalamazoo's hot dog needs are well in hand at Coney Island Hot Dogs. Muskegon is home to a comparative oddity in hot dogs: The Greek Coney. Found at G&L, it's not so much the Greek part that's odd—Greek food can be found all over Michigan—but it's the fact that it's a Greek Chili Dog that makes this so notable. The “Greek” part, reports note, comes from the Greek based chili sauce, a sauce sufficient to propel G&L to being the best hot dog in Muskegon County. The sauce includes fresh celery, fresh onion, and a hamburger meat that's 20 percent fat as well as a hot dog that's exclusive to G&L. A Bay City institution, Mr. Hot Dog is often the subject of local raves, considered both a great facility for family dining and a hot dog joint that's above the common cut. Hot dogs with a variety of toppings from chili to cheese and—in perhaps one of the most interesting distinctions we’ve seen, pickle slices—and French fries that look of the shoestring variety, Mr. Hot Dog delivers on several fronts. Jackson Coney Island has been rocking since 1914. That's long enough to make Jackson residents believe that Jackson actually invented the Coney dog, and not Detroit, no matter what its abundance of Coney dog restaurants may say. Jackson residents also reportedly note that Flint-style chili is actually Jackson-style, just appropriated from Jackson. No matter what side of the fence you may fall in terms of who did what first and when, Jackson Coney Island is indeed open, and serving up some top-notch hot dog fare. Grand Rapids' entry in the Coney dog stakes will be one of the most unconventional the state can offer. One Stop Coney Shop is out to be a fairly complete registrar of the hot dog world, offering not only Flint dogs, but also Chicago dogs, Grand Rapids dogs, and dogs with a range of flavors from grated cheddar cheese to bacon and ranch. Thus, no matter what your taste in hot dog embraces, you'll likely find it on offer here. No, hot dogs in Michigan aren't a strictly big city, lower peninsula affair, as Johnny Dogs in Munising can readily demonstrate. Featuring its own homemade line of meats, sauces, and fresh baked bread—it also uses a line of tomato that comes from nearby Shelter Bay—Johnny Dogs has a clear devotion to quality. Throw in its superior rating on TripAdvisor—4.5 out of 5 with 429 total reviews—and it's obvious that a good hot dog in Michigan's north starts with Johnny Dogs.